Starting a month of shows about war comics, Alex Fitch talks to award winning writer Garth Ennis about his interest in the genre, from the backdrop of conflict in his debut strip Troubled Souls to his exploration of wars throughout the 20th Century and beyond in his series War Stories and Battlefields. Alex and Garth also discuss his past and forthcoming projects for Avatar, Dynamite and Marvel Comics and there are questions from the audience on the subjects of putting his stories into context for younger readers and the use of drones on the battlefield. 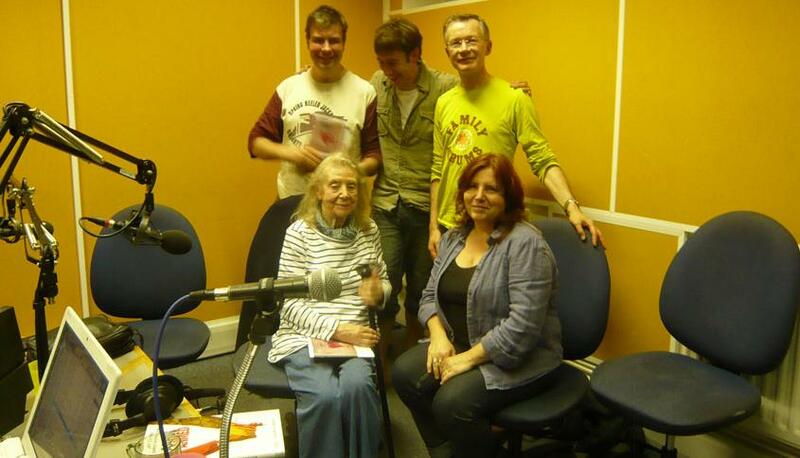 This interview was recorded live at the Imperial War Museum, London as part of the ‘Comics and Conflicts Festival‘, August 2011. The date has been confirmed for the second Comics Barcamp in the English speaking world – essentially an “unconference”, a creative business brainstorming seminar, run along communal lines. To take place at Blick Studios in Belfast in September, who are also co-sponsors of the event, this free gathering is aimed at anyone who likes or creates small press/ underground comix or who simply enjoys non-hierarchical events with an emphasis on spirit of creativity, alternatives and co-operation. Continuing our new series of Sci-Fi London podcasts, we have a pair of interviews about modern Science-Fiction takes on warfare which have a classical, yet prescient feel to them: Duncan Nott talks to Garth Ennis about working on the new Virgin Comics version of the classic British sci-fi comic strip Dan Dare which sees Dare called out of retirement as Britain and Earth enter new hostilities with the Mekon due to a corrupt Prime Minister running the country. Also, Tripwire Magazine editor Joel Meadows presents and takes part in a brief press conference with actor Michael Hogan about playing the long suffering character Colonel Tigh in the 21st century reimagining of Battlestar Galactica, which is about to return to our screens shortly for the second half of its final season. Recorded and edited by Alex Fitch (with thanks to the MCM Expo for their invite to the Michael Hogan junket). Alex Fitch and Duncan Nott continue their talk with one of Britain’s most popular and critically acclaimed comic book writers, and this week look at Garth Ennis’ move to creator owned projects, his bemusement with superheroes as demonstrated in the comic “The Boys” and the differences between scripting his own ideas and characters vs. being hired to work on existing ‘mainstream’ properties. Alex Fitch and Duncan Nott continue their talk with one of Britain’s most popular and critically acclaimed comic book writers, and this week look at Garth Ennis’ move to creator owned projects, his bemusement with superheroes as demonstrated in the comic “The Boys” and the differences between scripting his own ideas and characters vs. being hired to work on existing properties. Alex Fitch and Duncan Nott talk to one of Britain’s most popular and critically acclaimed comic book writers who’s famous for such mildly controversial titles as Preacher and The Boys, both of which are probably going to be adapted for the small and big screens in the not too distant future. Having worked for the main US publishers: Marvel and DC comics, Garth Ennis has started to take his projects to small companies such as Avatar and Dynamite while in terms of British characters, he’s also written the likes of Judge Dredd for 2000AD and Dan Dare for Virgin comics. Alex Fitch interviews Doug Braithwaite, a British comics artist who is best known for his collaborations with painter Alex Ross & writer Jim Krueger on such titles as Universe X & Paradise X which depict a mythological future for the characters of the Marvel Universe and Justice, a graphic novel celebrating the DC ‘Silver age’. Alex and Doug also talk about the latter drawing ultra-violent escapades of the Punisher that hark back to 1980s action films and whether being a black comic book artist has influenced his work and projects. Alex Fitch interviews Doug Braithwaite, a Scottish comics artist who is best known for his collaborations with painter Alex Ross & writer Jim Krueger on such titles as Universe X & Paradise X which depict a mythological future for the characters of the Marvel Universe and Justice, a graphic novel celebrating the DC ‘Silver age’. Alex and Doug also talk about the latter drawing ultra-violent escapades of the Punisher that hark back to 1980s action films and whether being a black comic book artist has influenced his work and projects. Delayed from last week (sorry): In this week’s ComICA slot, we have the second of three extracts from ComICA Collaboratories; a talk about modern comics practices such as Daniel Merlin Goodbrey’s webcomics and collaborations between comics artists from different countries. Alex Fitch interviews artist John McCrea about his work, his love of superhero comics which has now lead to work in Saudi Arabia and collaborating with writer Garth Ennis on such projects as Troubled Souls. 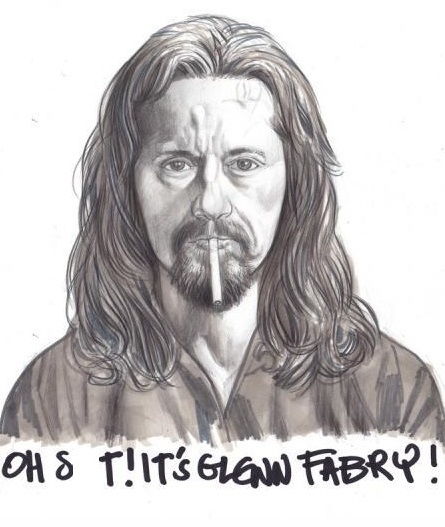 Alex Fitch interviews artists Glenn Fabry and John McCrea, two very different artists who have worked on comics in Britain and America and have both illustrated strips by writer Garth Ennis. The majority of today’s show is concerned with Glenn’s work from his seminal run on Sláine in 2000AD to his epic run of painted covers for DC comics’ Preacher which are available in a coffee table book. Towards the end of the show Alex talks to John McCrea about the 60 issues he drew of Ennis’ superhero satire Hitman (and their interview continues next week).